It’s often assumed that big cities benefit the most from the Internet, but we believe the net offers giant opportunities to everyone from urbanites to small town residents, farmers and nature lovers in the far-flung countryside. We recently tested this thesis in our first-ever European Google eTown awards, which recognize those areas that had most embraced the web’s potential over the last year. The results were fascinating—and surprising. Smaller, quirky and plucky towns came out ahead. Scunthorpe, a steel town in the north of England, topped the U.K.’s list. Caen, a town in rural Normandy not far from the D-Day beaches and famed as the home of camembert cheese, came first in France. Salerno, nestled between the Amalfi and the Cilento Coast led the way in Italy and Elbląg, a remote northern town located in the region of 1,000 lakes won in Poland. In all four participating countries, eTown lists included towns of all sizes. How did we determine our eTown awards? We broke down the U.K., France, Italy and Poland into all of their thousands of towns and then ranked local areas according to the growth in small businesses using AdWords over the last year. The top towns in each country won Google eTown awards. The results back up recent research identifying the Internet as a main force driving growth throughout Europe. For example, a recent McKinsey report Internet Matters states that 2.6 Internet jobs are created globally for every job destroyed. Separately, the Boston Consulting Group estimates that by 2015 the web will account for 7.3 percent of Denmark’s GDP, 10 percent of the U.K.’s GDP and 5.5 percent of France’s GDP. The net drives growth of both big and small businesses—indeed another BCG report called “Turning Local” (PDF) makes clear that small businesses with a website grow faster than businesses without a web presence. We’ve seen this ourselves, in the businesses of all shapes and sizes that we encountered as part of our eTown awards. An entrepreneur in Hartlepool in the U.K. sells golf balls online. A Polish programmer runs a data recovery business from Piaseczno. An plumber directs a heating systems company from Vicenza, Italy and a French retailer has reached new scooter customers online in Reims. Online advertising has helped them grow and reach more customers than ever before. When it comes to the Internet, our eTown awards show that anybody, almost anywhere, can boost a business by going online. Based on search history, consumer demand for pretzels peaks in what month of the year? How much (in $) does search add to the world’s GDP? In 2011, what percent of people dreamed and brainstormed about their next vacation? 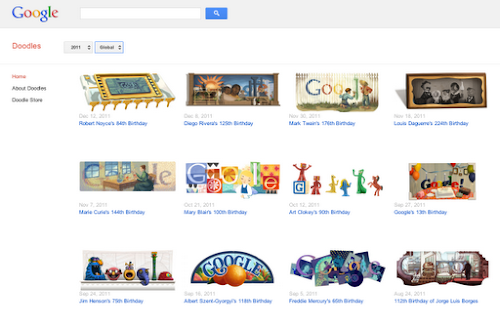 What percent of the daily queries on Google.com have never been seen before? 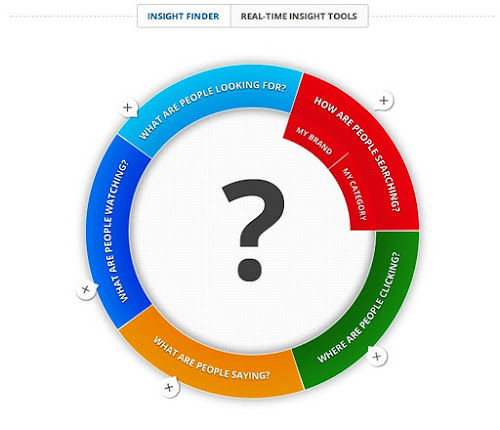 If you only have a few minutes to spare, try playing with our new Real Time Insights Finder tool. With just a few clicks you can spot emerging trends and gain valuable consumer insights, all in real time. For example, the most popular video in common among males 25-34 in Italy and the U.S. is the Official Call of Duty: Modern Warfare 3 game trailer. Although we’ve made a lot of enhancements to Think Insights based on initial user feedback, we’re always trying to iterate and improve. So please don’t be shy! Join the conversation by adding the Think with Google page on Google+ to one of your circles, or stay tuned for updates by subscribing to our newsletter. Think Insights is forward-thinking and rooted in data. We hope you’ll use it as a one-stop shop for consumer trends, marketing insights and industry research.